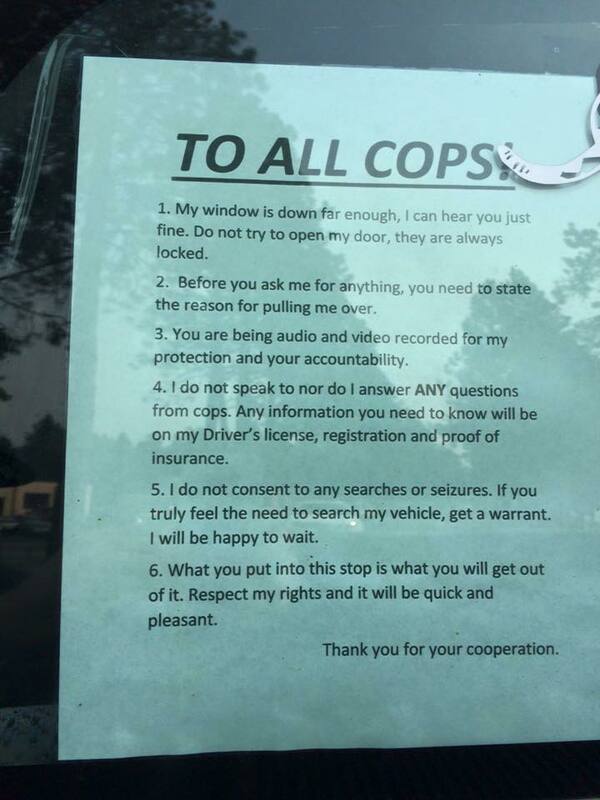 You can print this statement out and hold it up for the officer to read if you are stopped by the police while driving. We should exercise our rights. Because if we don’t use them, we may lose them.